My post today is going to be short (on the way out the door) but a card which was created a little while ago but never shared. Anyhow, it is always to get an early start on your Christmas cards. It is using the gorgeous Merry Little Christmas DSP from the 2017 Holiday Catalogue (retired). I’ve teamed it up with the Holly Berry Happiness Stamp Set along with the Holly Berry Builder Punch. I must say I used this set a lot last year & seemed to be my go to set for Christmas. 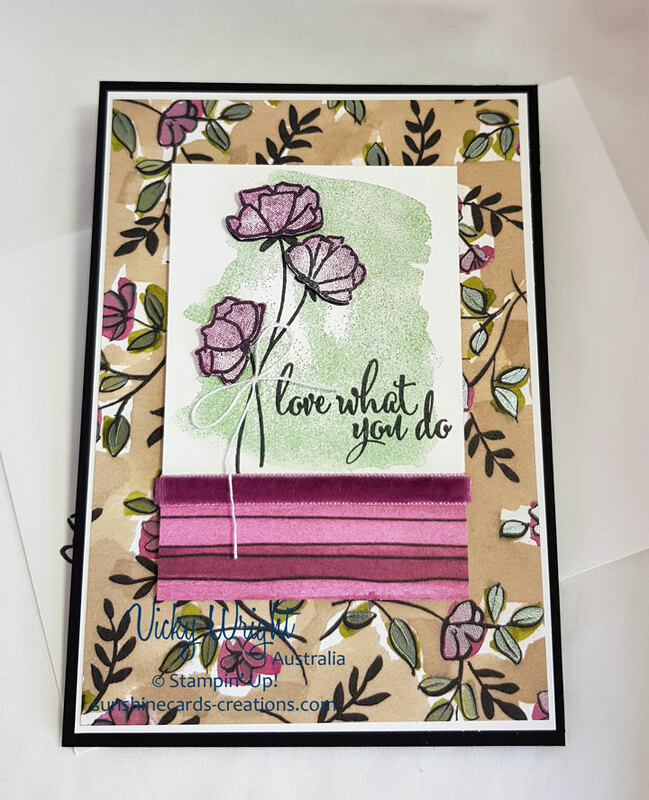 If you click on the link below, you will be able to download a free tutorial to create your own card. The card can be used for any occasion so all you have to do is change out the stamp & DSP. A couple of days ago I shared with you the card we created in our “Cards @ Toogoom” class. 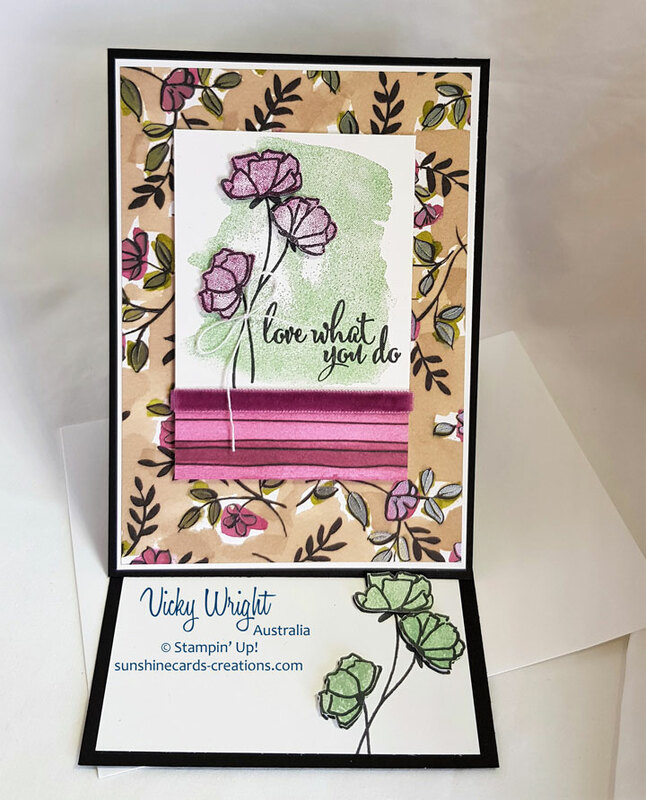 Well, today I thought I would share with you another card I created a few weeks ago with the same fold but using the Birthday Blossoms Stamp Set. I got my inspiration for the card from Pinterest which had been created by Michelle Last. Thank you Michelle for your inspiration! I loved the clean lines of her card, along with the touches of pink. To colour my flowers, I sponged Power Pink Ink over the top with a Stamping Sponge before blending Flirty Flamingo with a Blender Pen beginning from the inner petals & out towards the outer petals. It picks up the colour yet still keeping them soft. I added touches of Clear Wink of Stella to bring the Flirty Flamingo out a little more. If you click on the link below, you will be able to download a Tutorial to create your own card. It includes products used as well as measurements (metric & imperial).